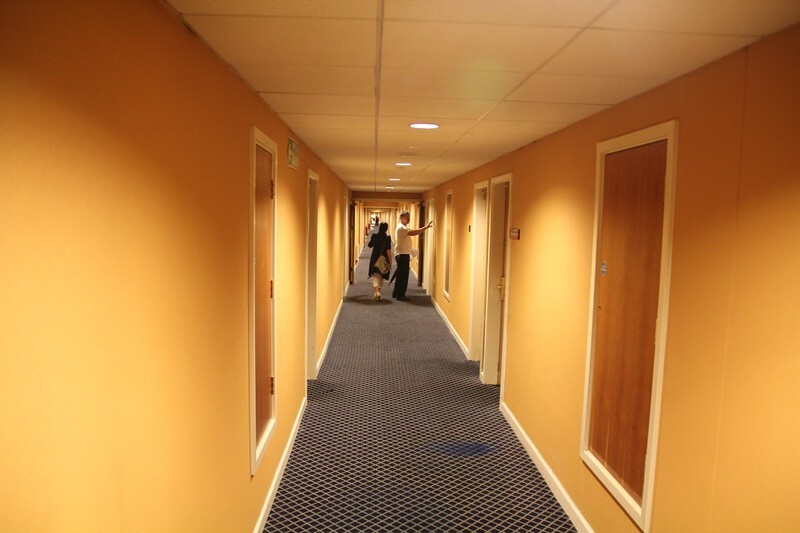 Hotel Corridors on Level 3. 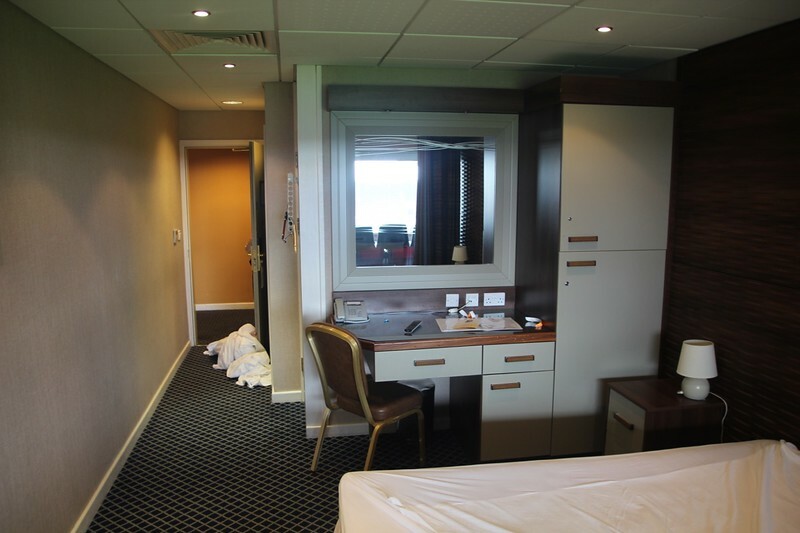 Example of Standard Hotel Room. 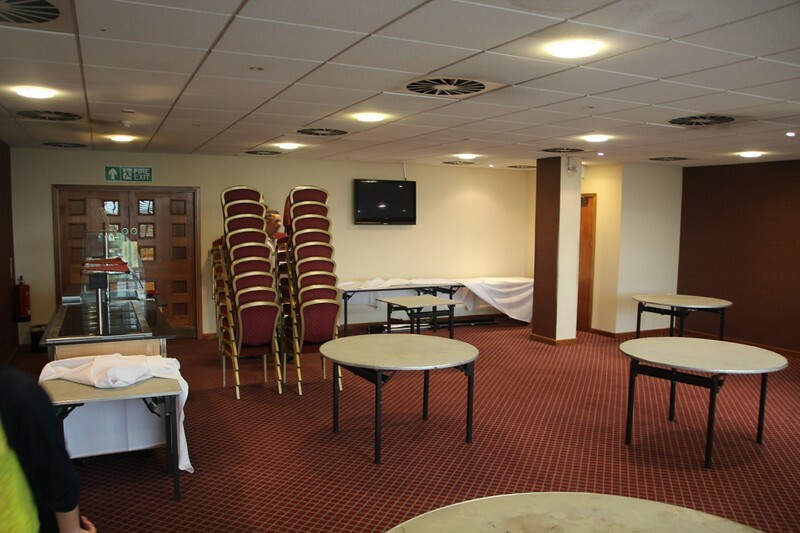 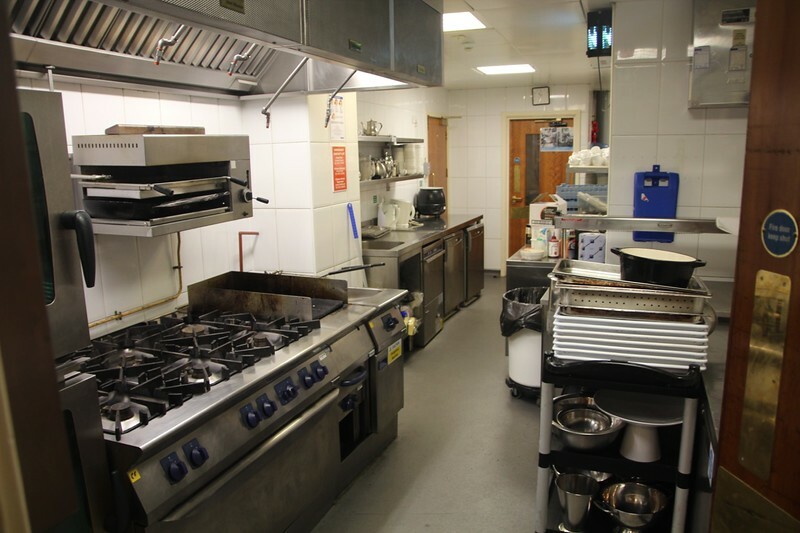 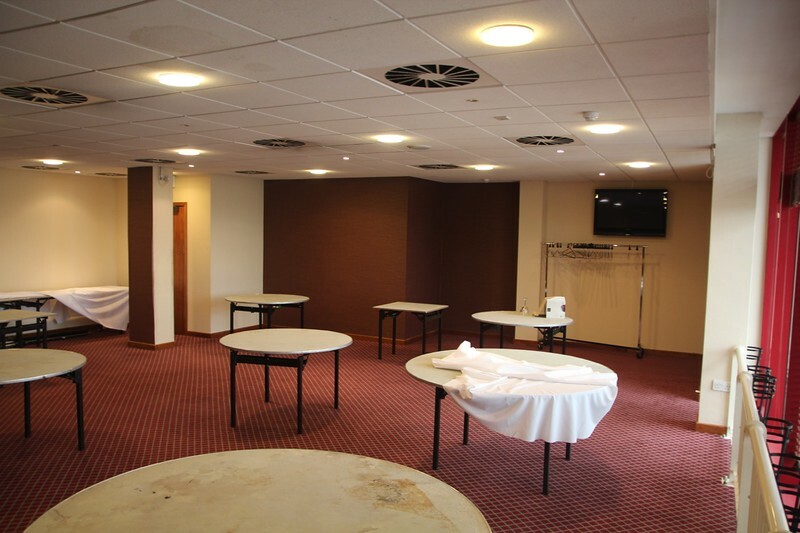 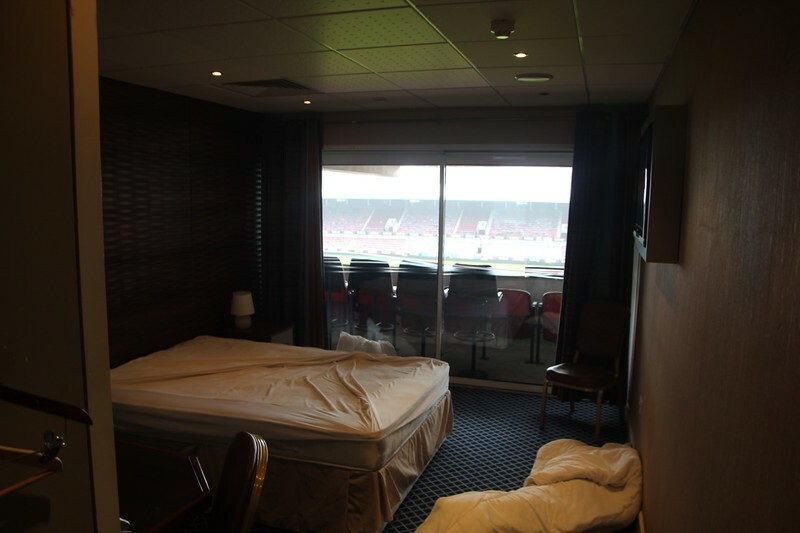 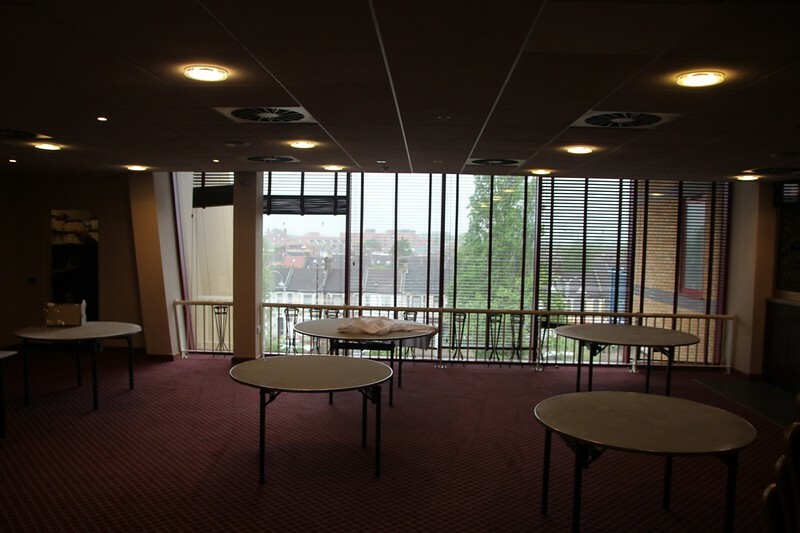 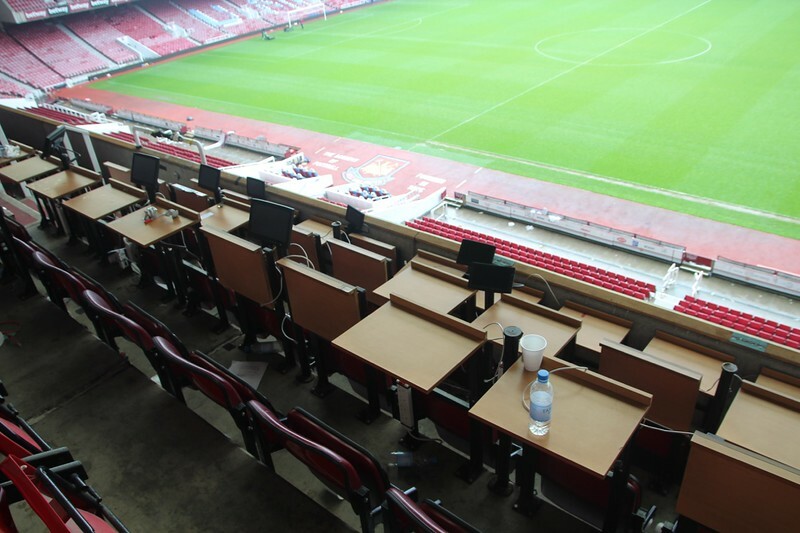 Vice Presidents Suite on Level 3. 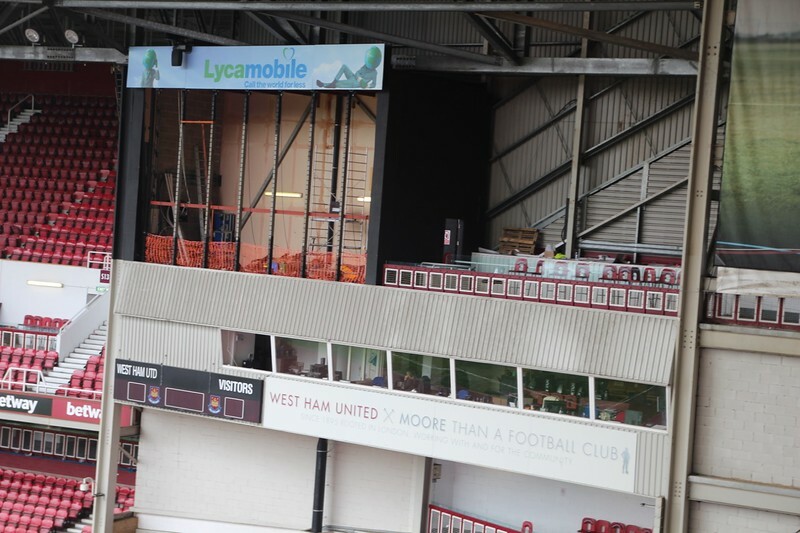 Note one of the two large TV screens have already been removed. 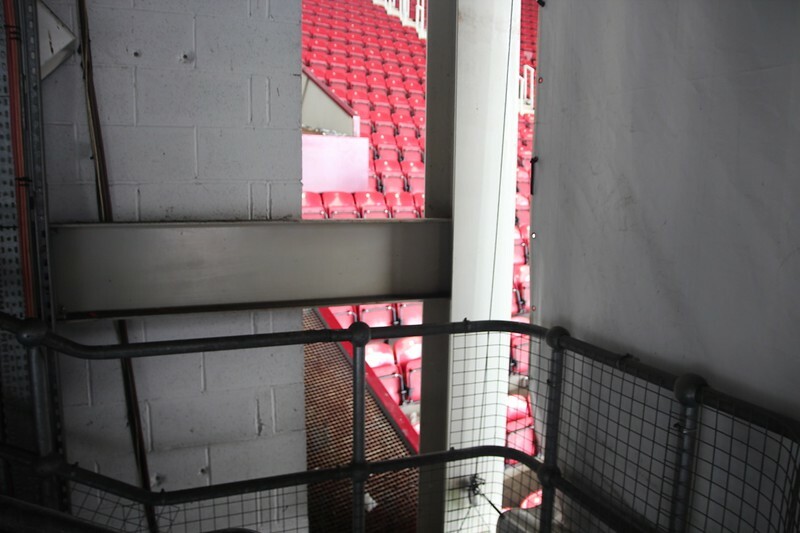 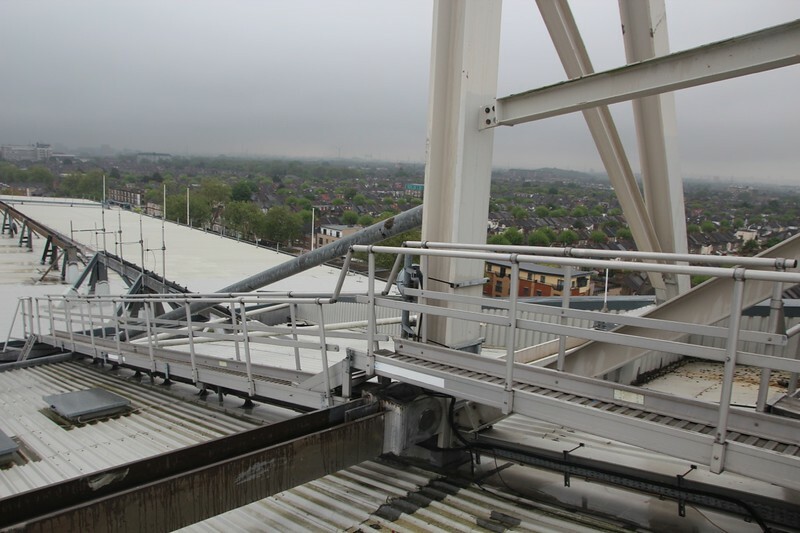 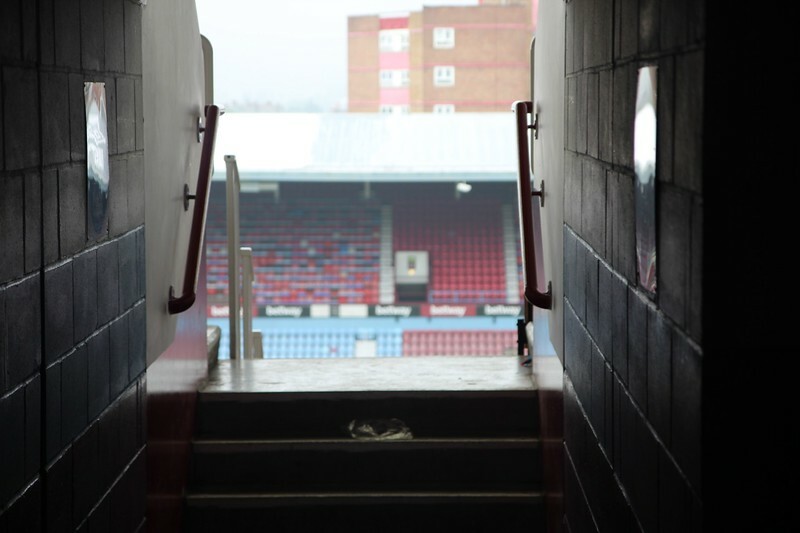 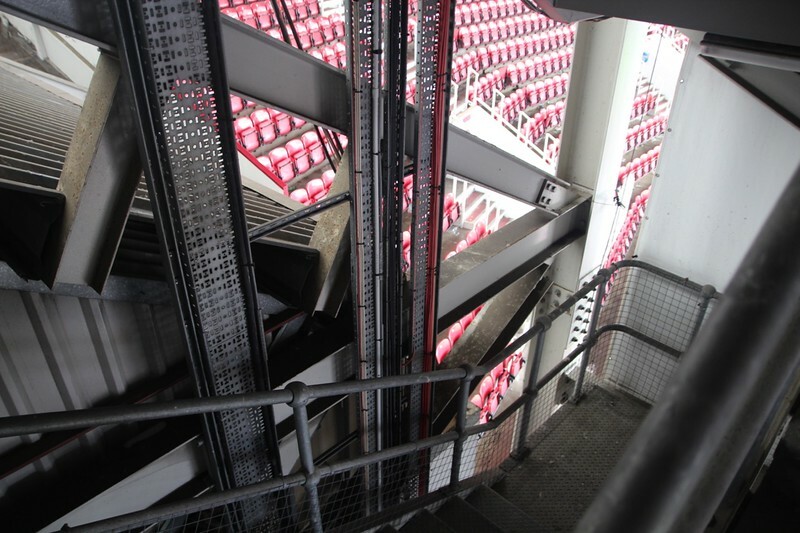 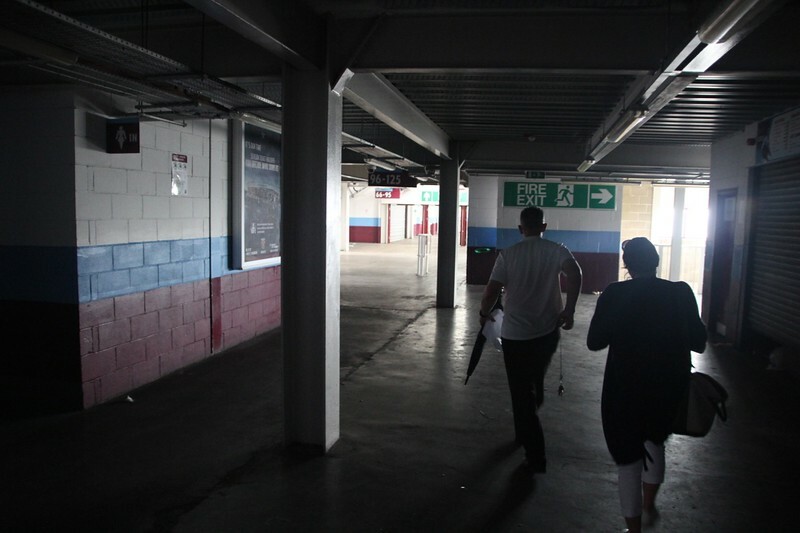 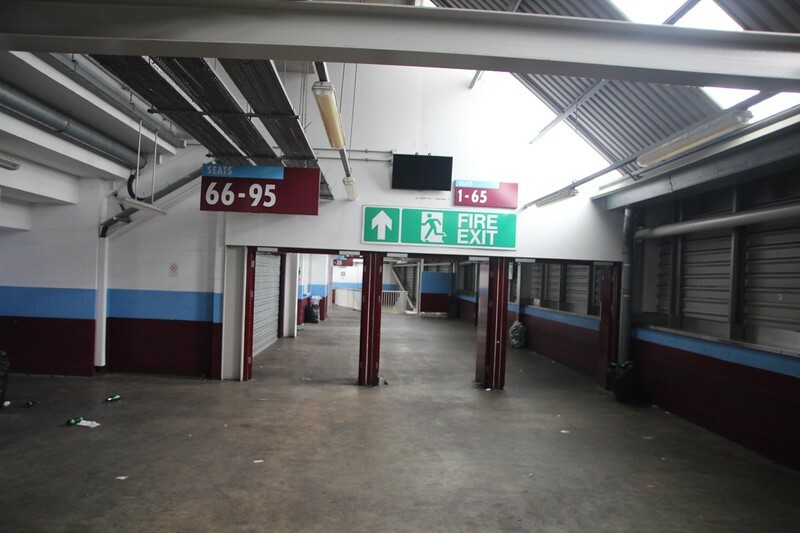 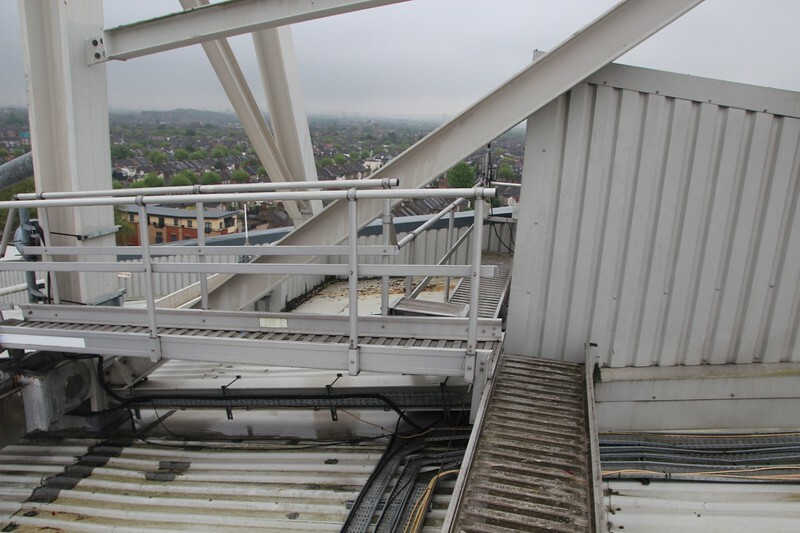 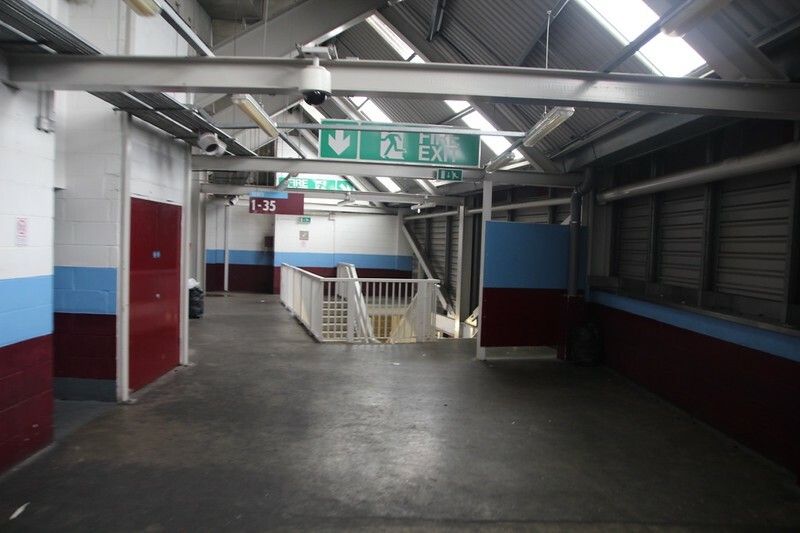 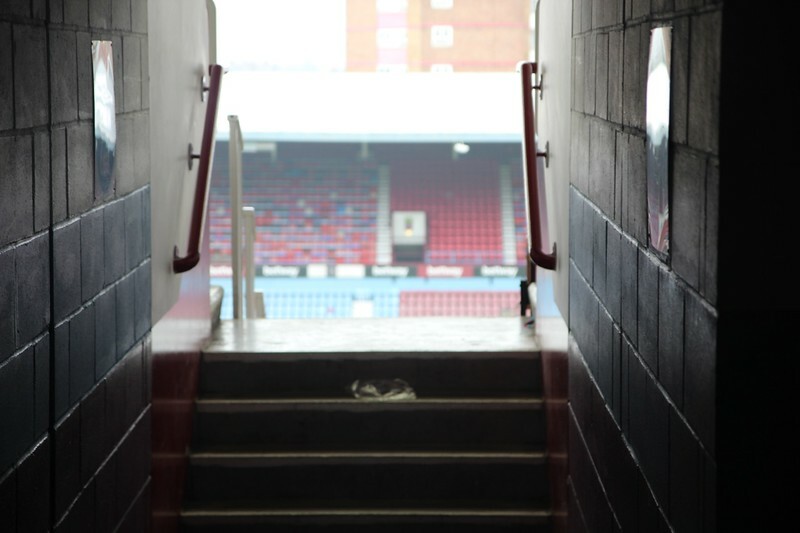 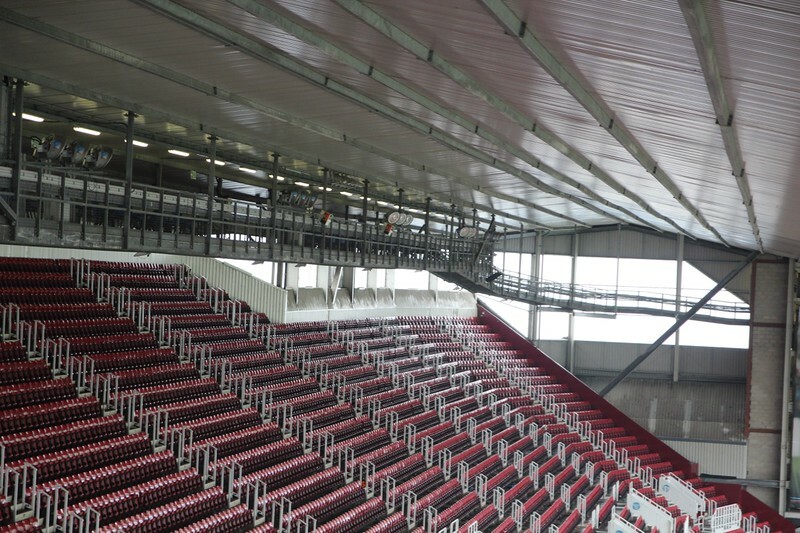 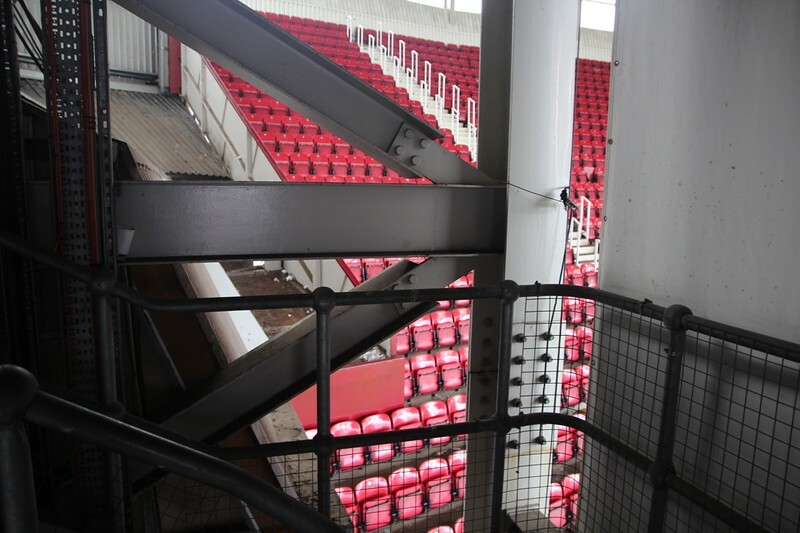 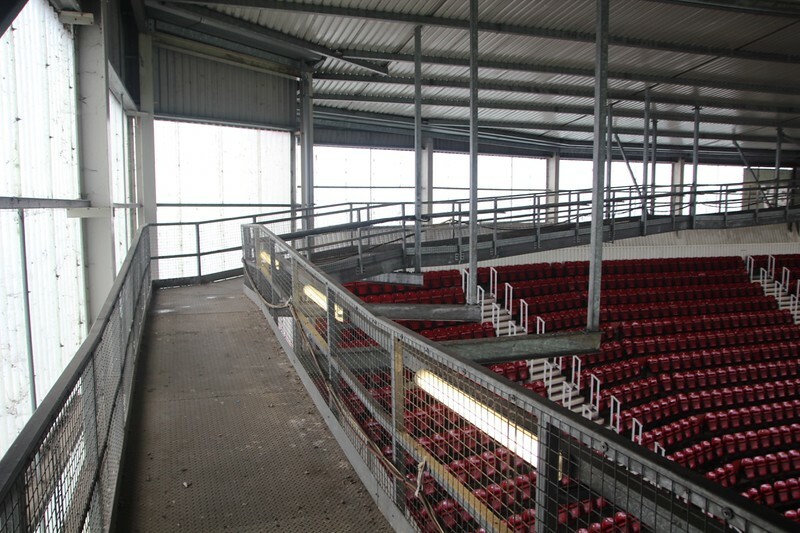 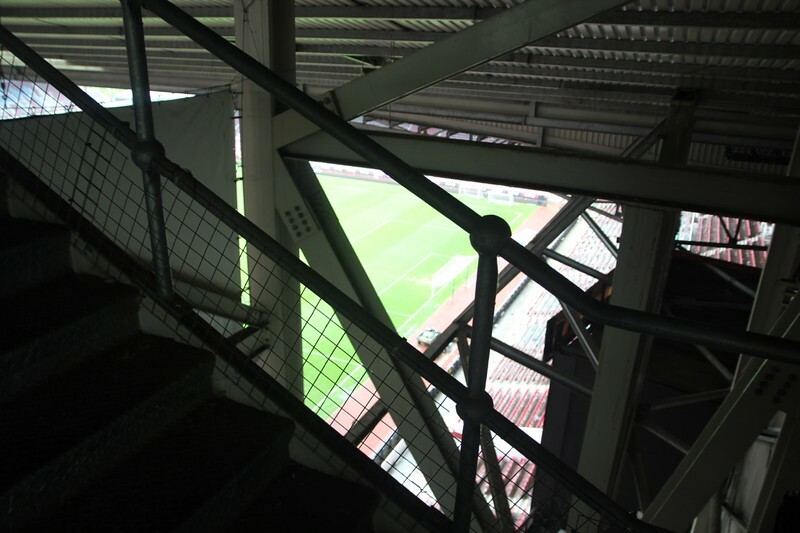 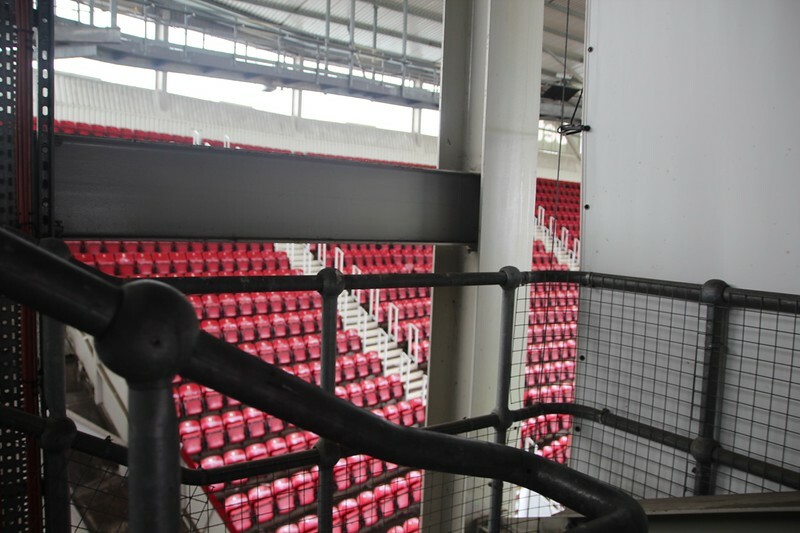 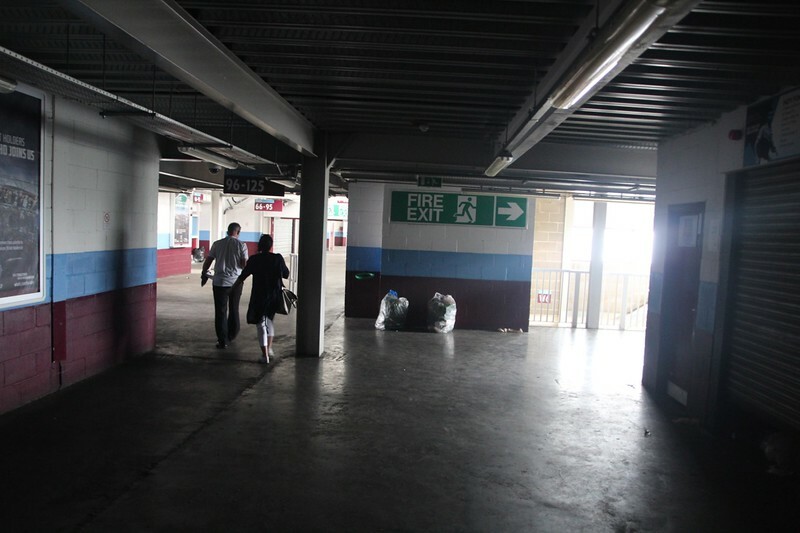 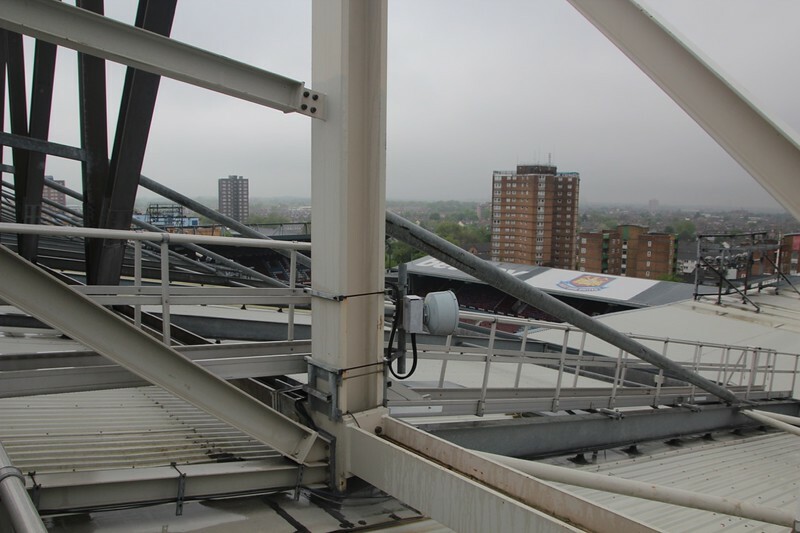 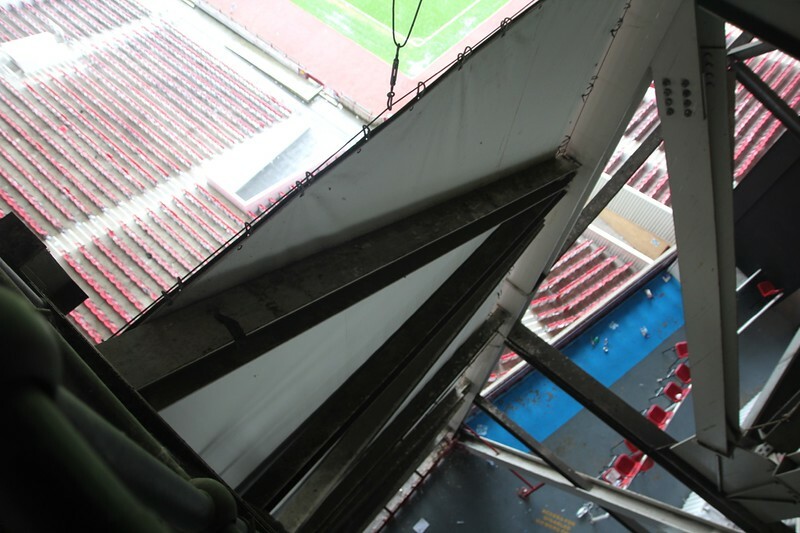 Climbing open metal staircase up to roof of Bobby Moore Stands. 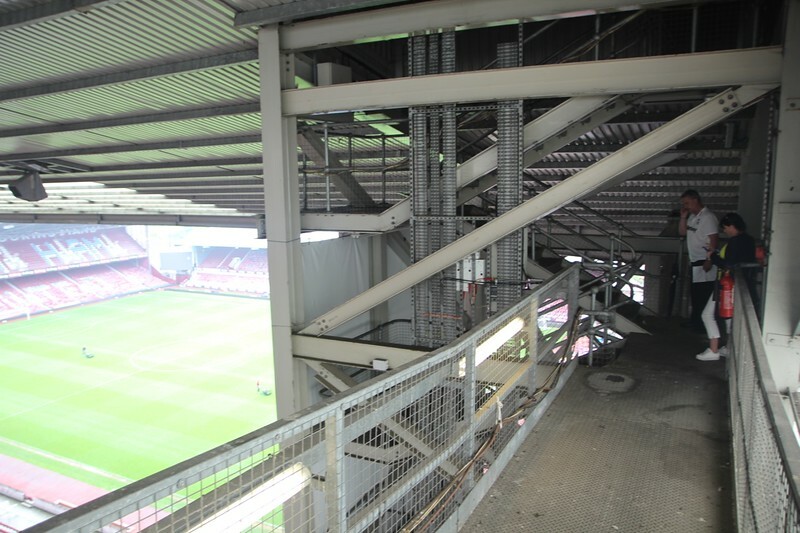 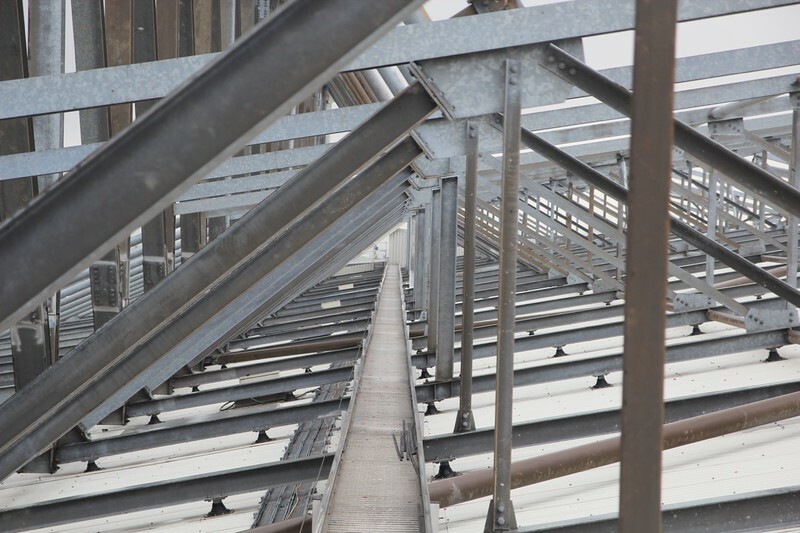 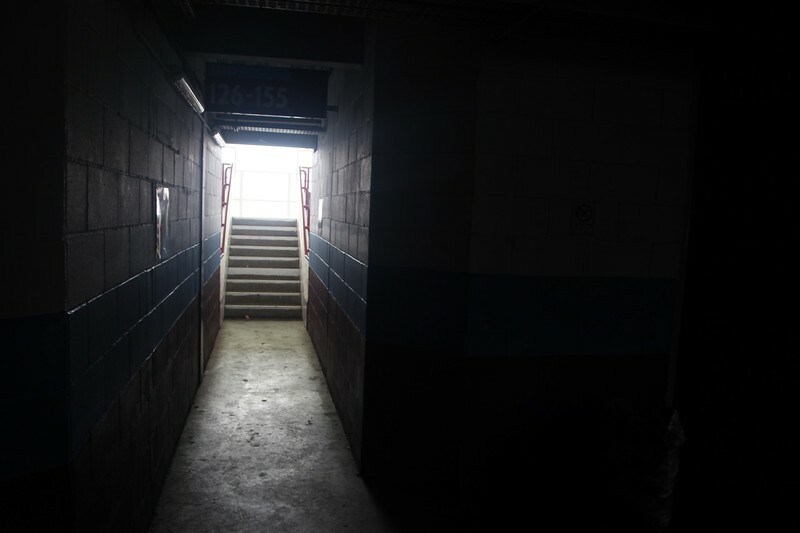 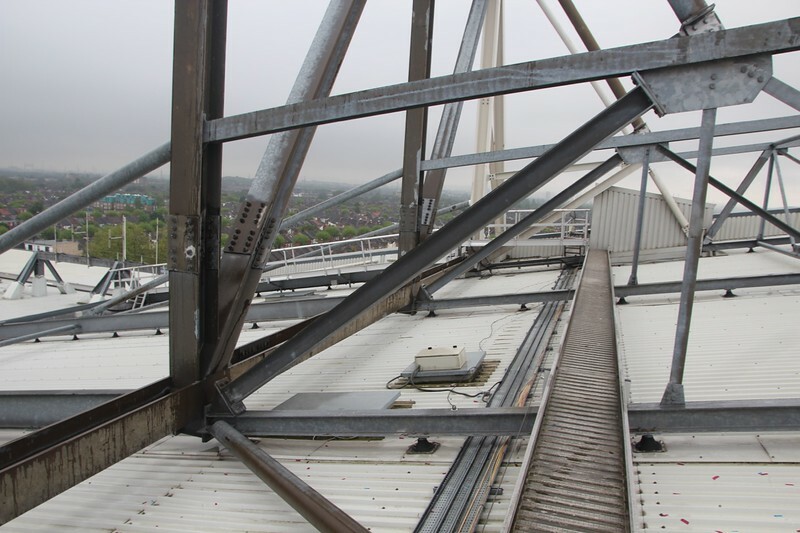 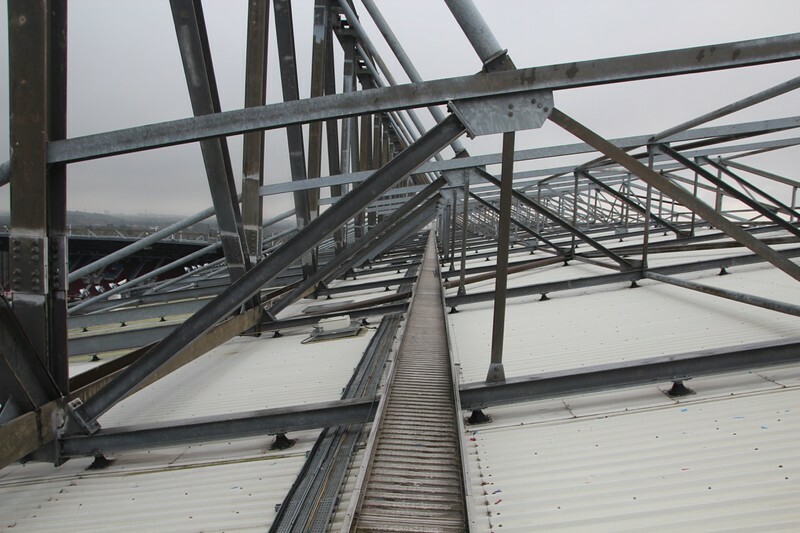 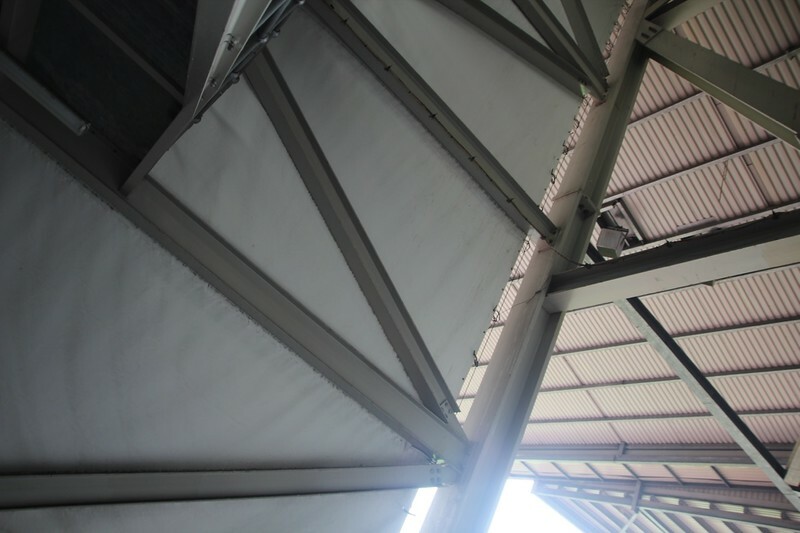 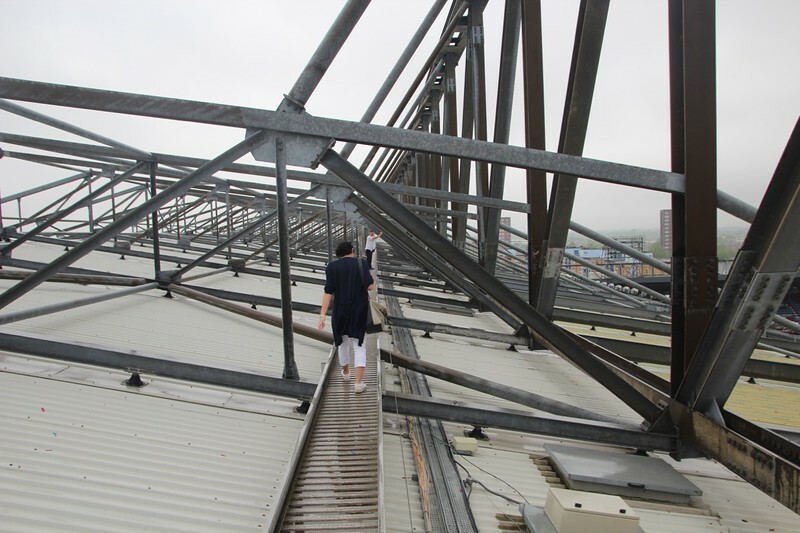 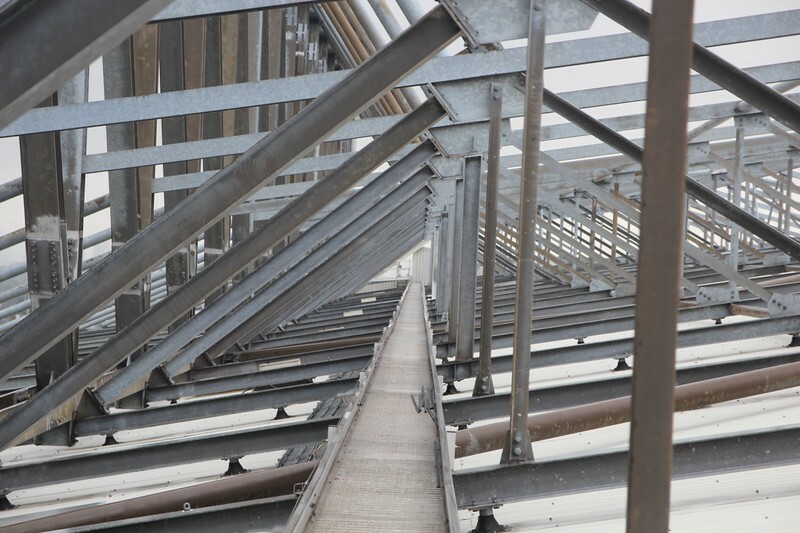 Gantry running under the roof of Dr Marten (West) Stand. 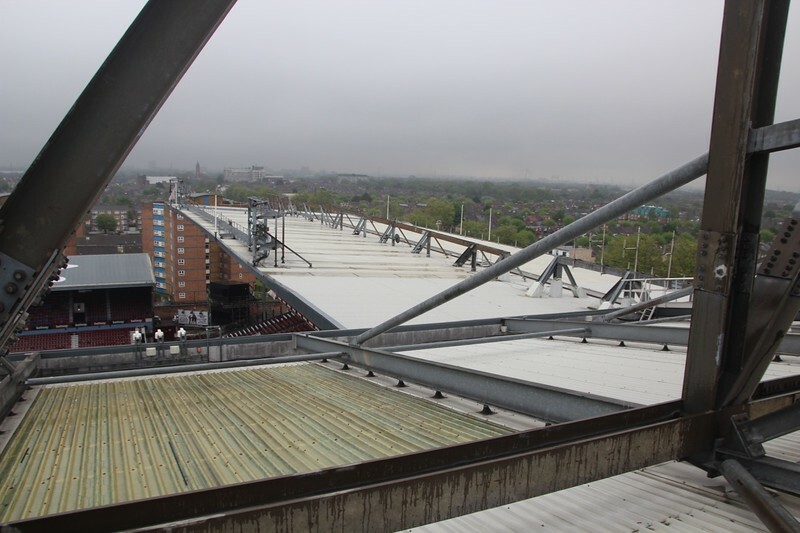 Rooftop of Dr Marten (West) Stand. 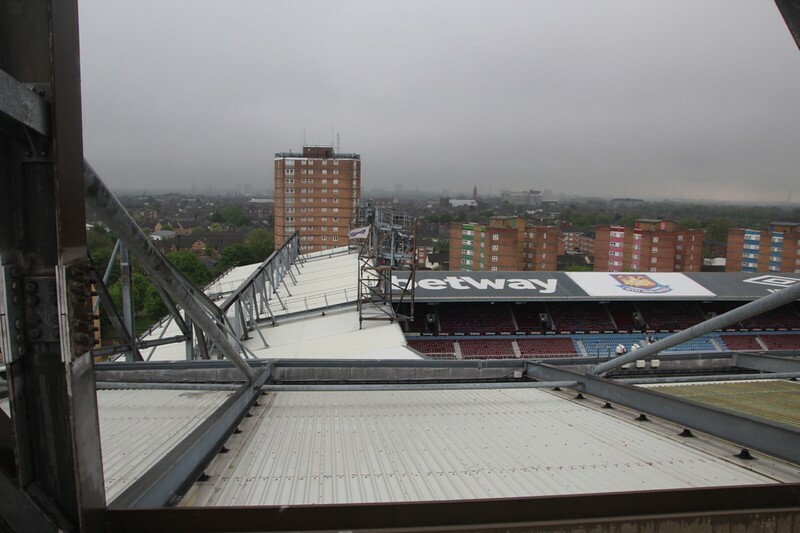 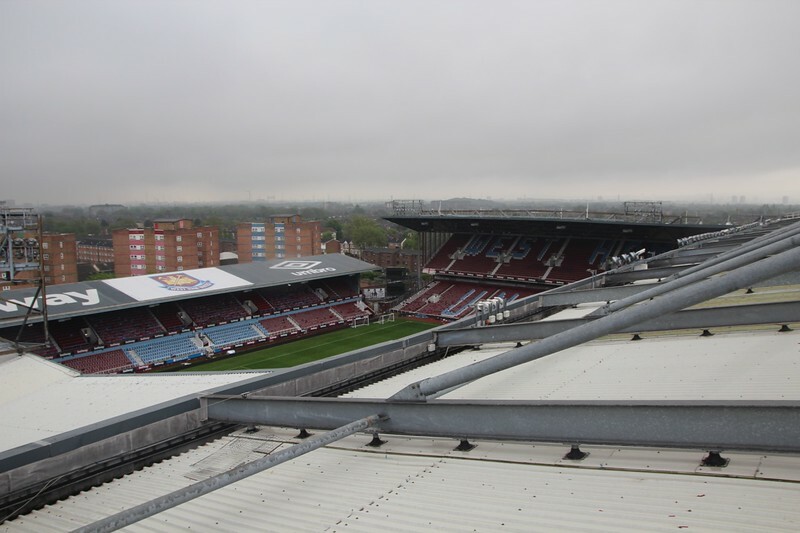 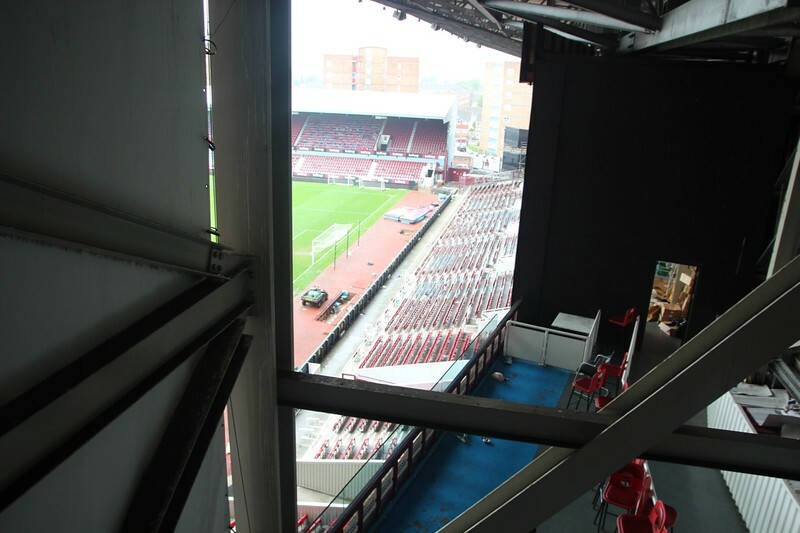 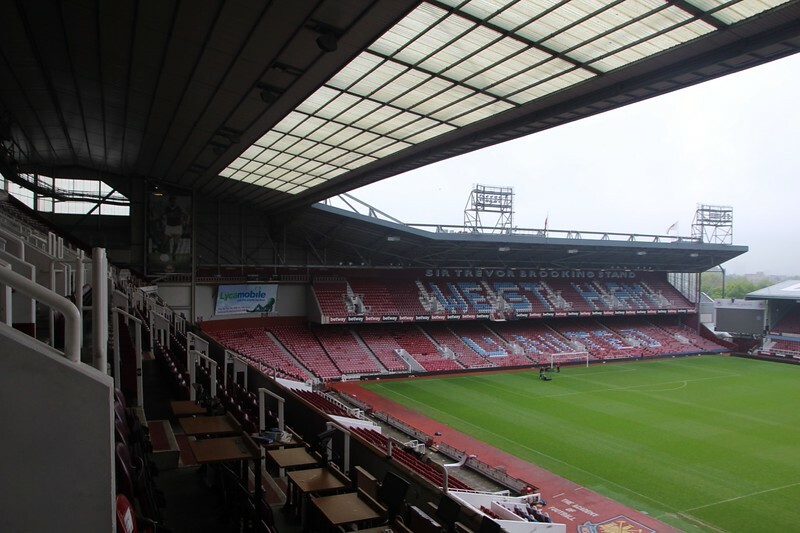 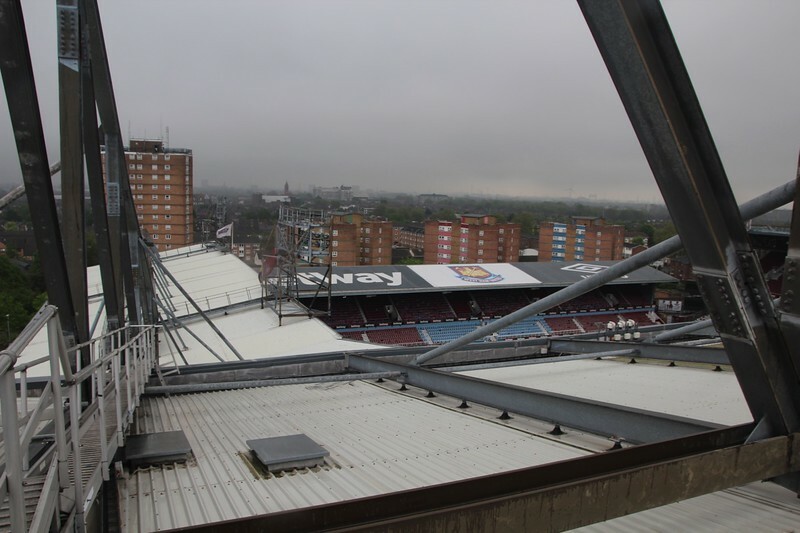 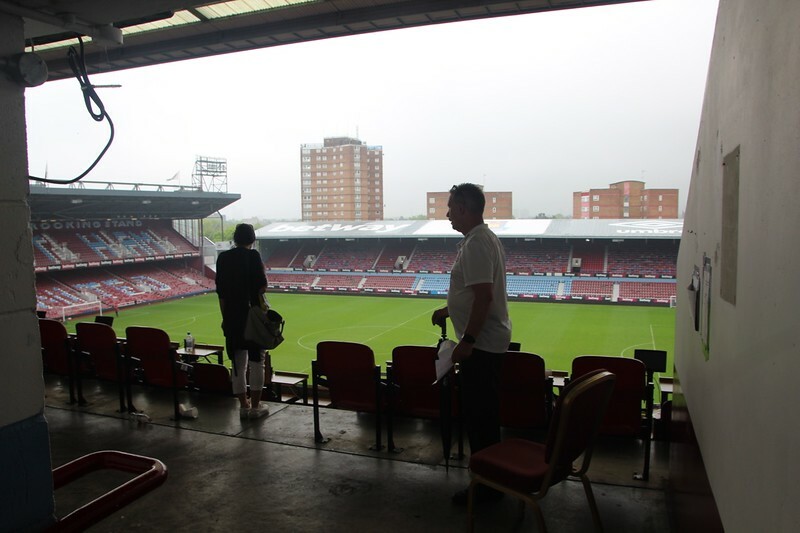 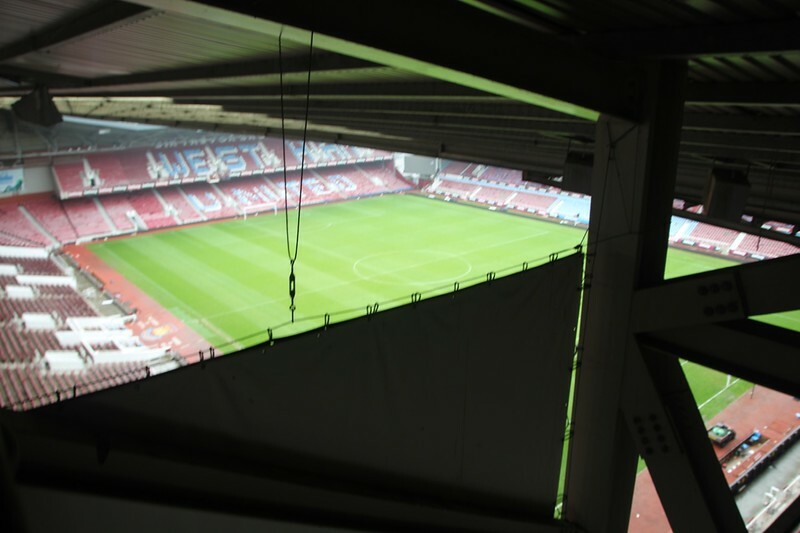 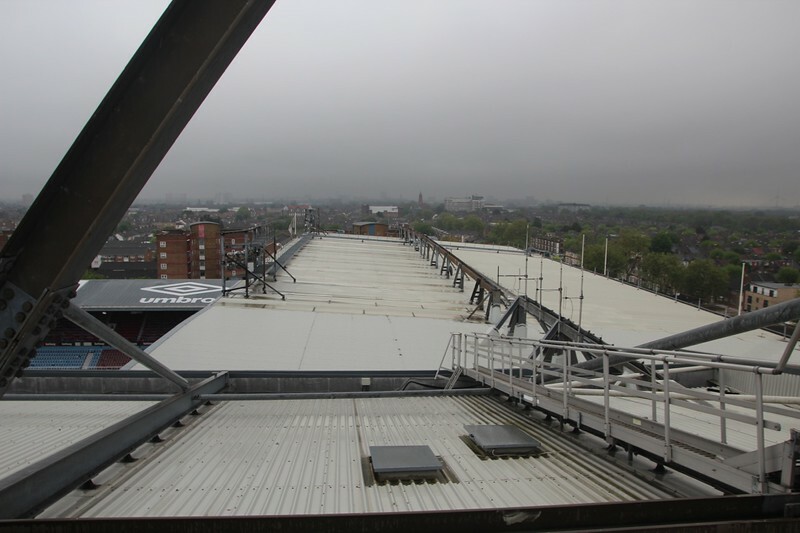 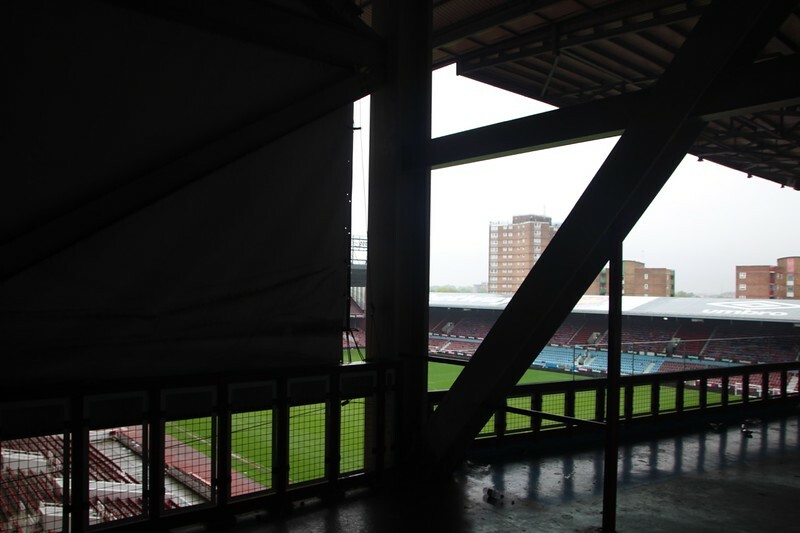 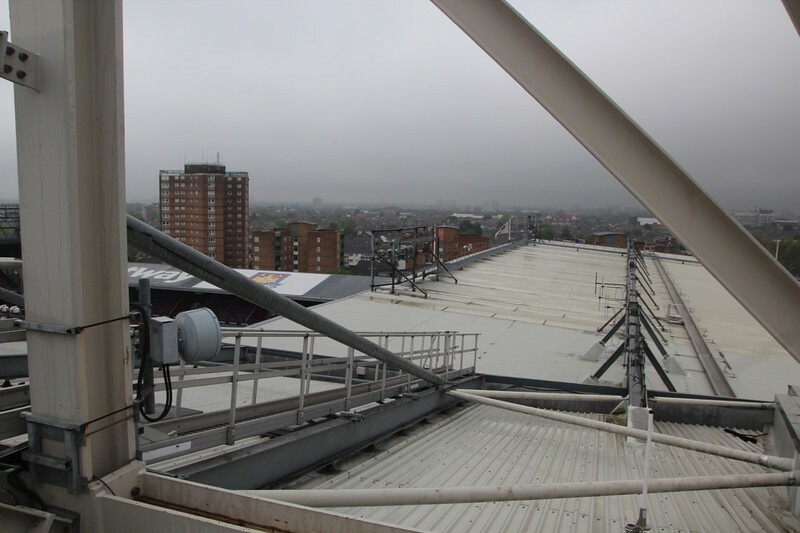 Looking onto the roof of Bobby Moore Stand. 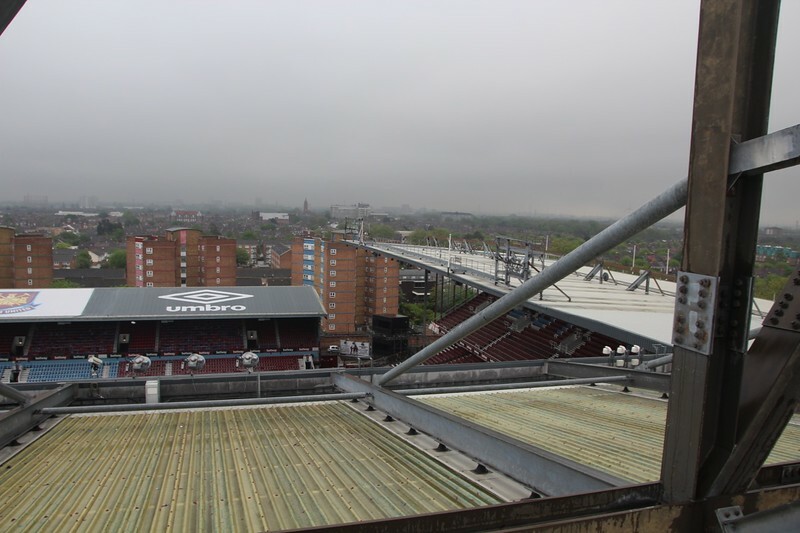 View over Centenary (North) Stand. 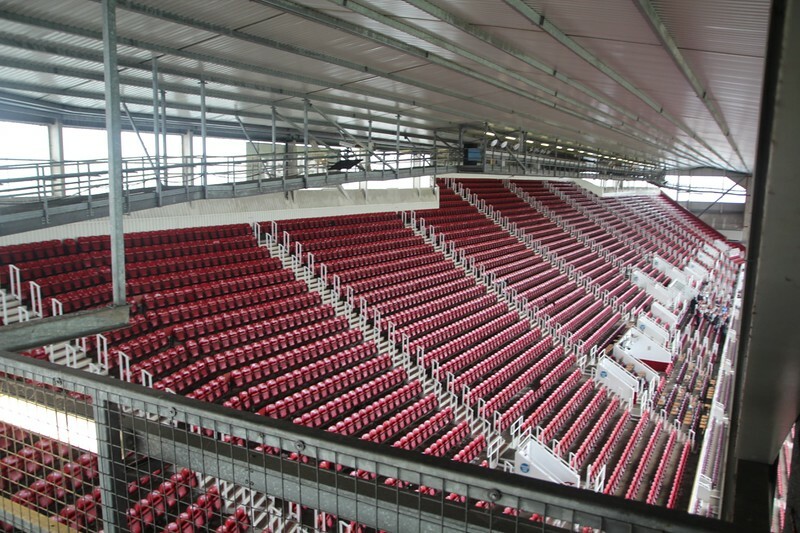 Note there is no bridge connection between these two stands. 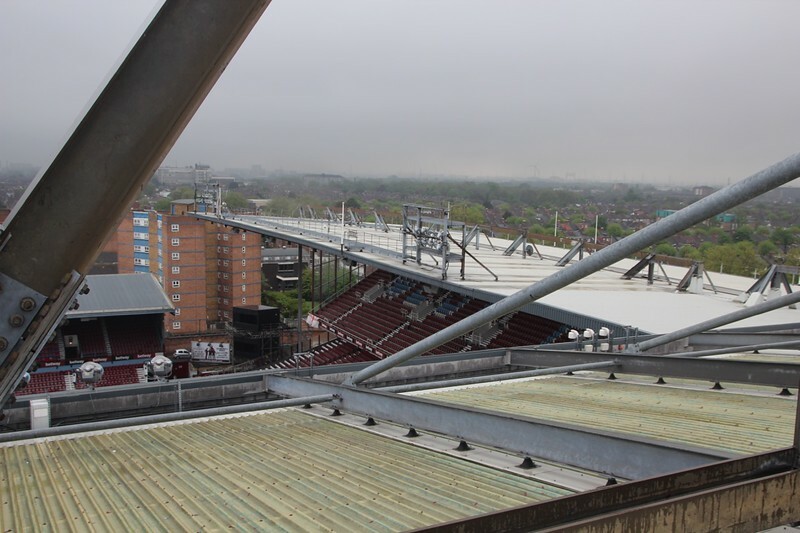 View back along Dr Marten (West) stand.